Are you looking for kids activities to keep your little ones entertained over the school holidays? 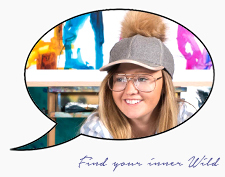 At Artworx, we’ve got the best school holiday program Geelong has to offer. Our Art Bootcamps are perfect for kids that love to be creative or if you want your kids to try something new. 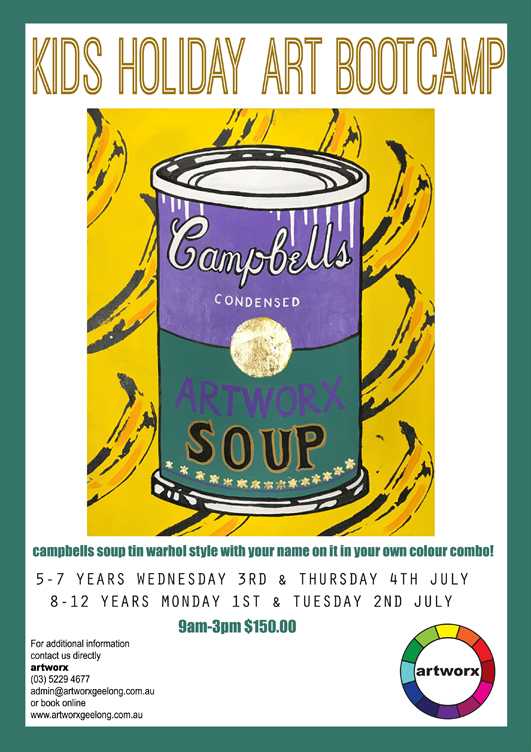 Artworx Geelong's Art Bootcamp school holiday program is for children aged 5 to 12 years and runs over two consecutive fun filled days. The class runs from 9am to 3pm each day, with painting, sculpture making and fun games all day. Each school holiday Art Bootcamp runs as two groups, a 5 to 7 year old group and an 8 to 12 year old group. Although both groups work on the same painting and sculpture, we cater to each age group a little differently. Exceptions to the age groups can vary, we are flexible if you would like different aged siblings to be in the same group. In the past, children have decorated their own pots and planted a cactus in it to take home, painted acrylic paintings on canvas and used spray paint and ink to customize a clock for a bedroom wall. Each Art Bootcamp is completely different so your child will always experiment with something new. All of the art materials we use are artist quality to ensure that your child can achieve great results with their artwork. Bookings can be made online, in store or over the phone. On the day children need to bring along a packed lunch and snack, a water bottle an art smock and a sense of adventure and fun. 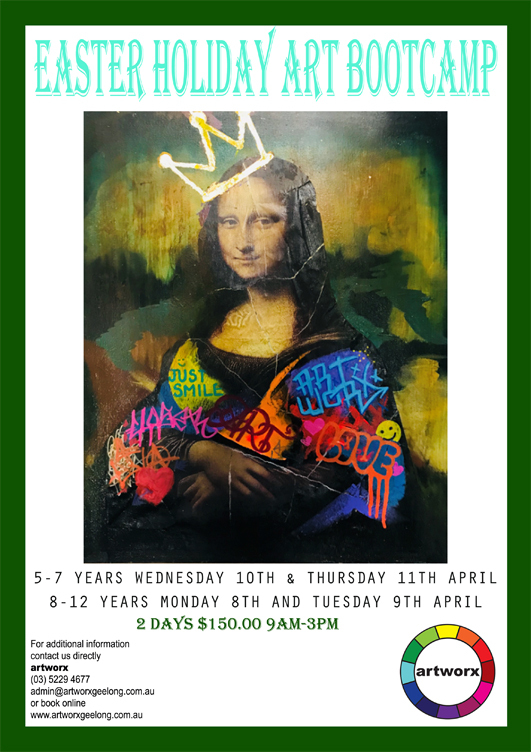 Artworx's renowned Art Bootcamps have been running for the past ten years and we have found that children love to be engaged with other like minded creative kids. If you’re looking for a school holiday activity that your kids will love, sign up to one of our Art Bootcamps today and if you have a particularly creative child then why not look at our after school art class on a Wednesday night or kids art birthday parties? 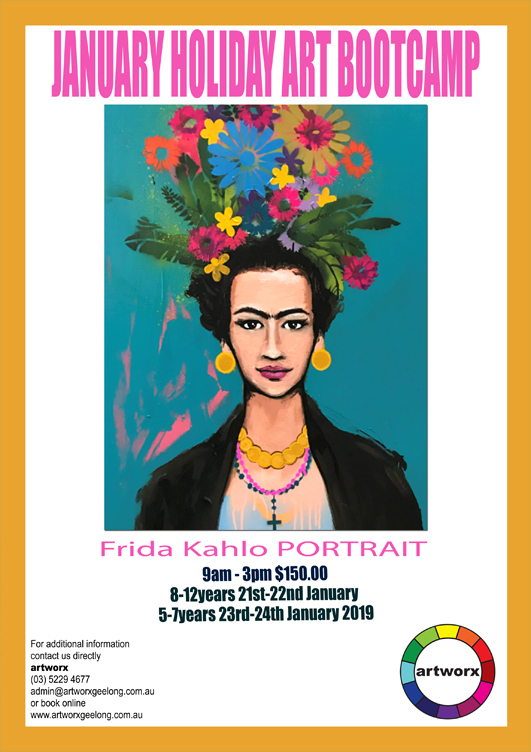 Stimulate your child’s artistic development and get them socialising with other arty kids by booking them in for two great days of fun and creativity.